This is my method for making the creamiest steel cut oats on the planet. 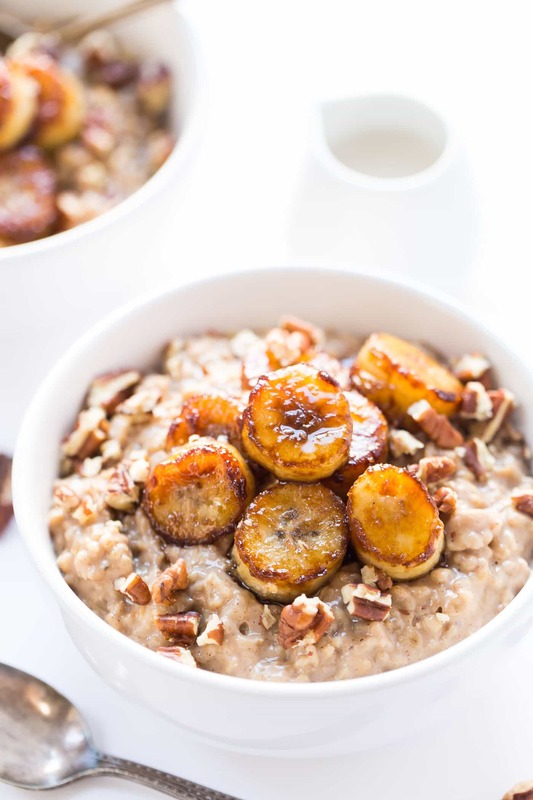 Served with pan-fried caramelized bananas and pecans, it becomes the ultimate breakfast bowl! Friends, we're already on Day 4 of Whole Grain Week! Doesn't it feel like it's flying by? This has been a really fun challenge for me, because instead of going with a particular category of food (like we did with Salads), I've been able to give you a really wide variety of recipes. 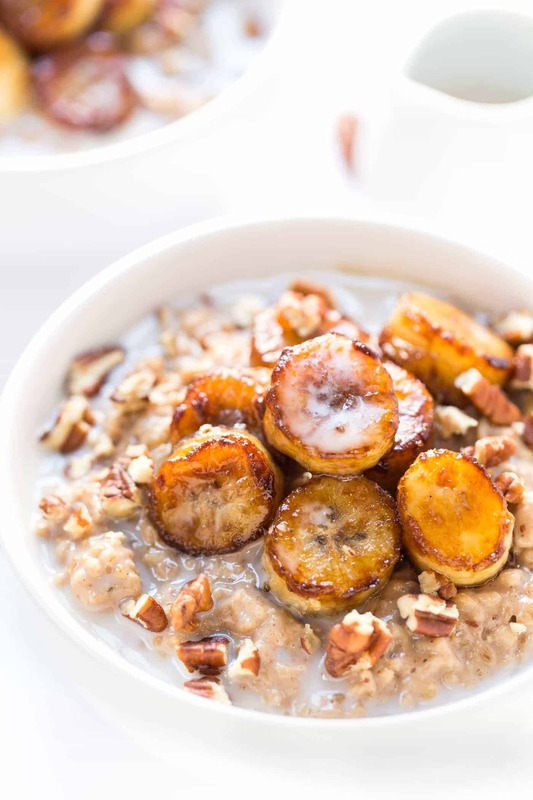 From Fajita Quinoa Bowls to these creamy steel cut oats, there's lots to choose from! While I'm pretty partial to my quinoa recipes, I have to say, this is my favorite recipe of the week so far! If you're an oatmeal lover like me, then you're in for a real treat. 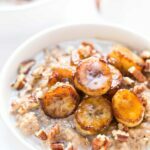 I'm showing you how to make THE creamiest steel cut oats, and then we're topping everything off with caramelized bananas and chopped pecans. It might sound a little intimidating, but trust me, this recipe is simple to make and tastes out of this world. To get started, we're gonna need some steel cut oats. If you're unsure what steel cut oats are, they're just whole oat groats that have been slightly chopped up (unlike oat flakes which have been flattened). This is why they take longer to cook, but nutritionally speaking, they're just as great. High in fiber, a complex carbohydrate, and a wonderful way to fuel up in the morning. 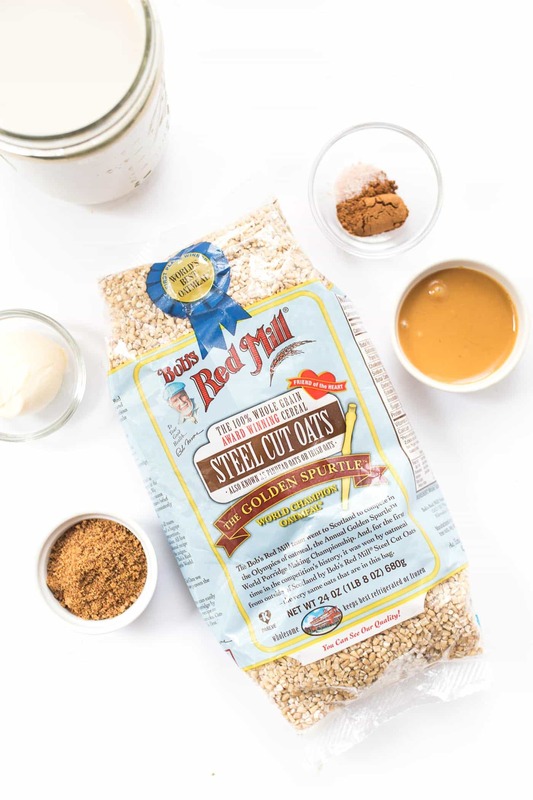 We're using Bob's Red Mill steel cut oats in this recipe, and what's great about Bob's is that they have a bunch to choose from. 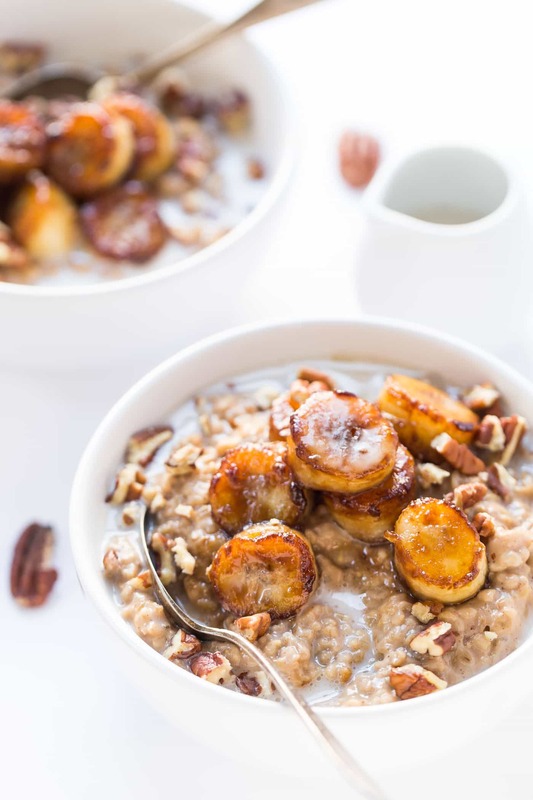 You can use their traditional steel cut oats, their organic steel cut oats (both of which are award-winning), as well as their certified gluten-free steel cut oats. But Bob's has also got those of use who are short on time covered with their quick cooking variety of all three. So basically, any scenario you're finding yourself in, they've got a steel cut oat for you! 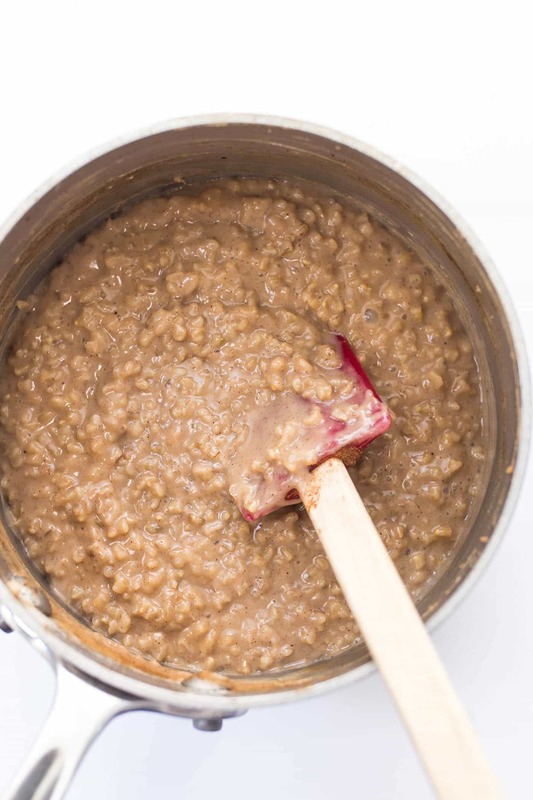 Just like regular oatmeal, you'll just let these steel cut oats simmer on the stove until they turn soft and creamy. I simmered mine for 15 minutes, then added in my other ingredients. As for the stir-ins, which we all know is the best part, we used a little bit of vegan butter which adds even more to the creaminess, some coconut sugar for sweetness, salt and cinnamon to heighten the flavor, and peanut butter because…well everything is better with peanut butter! 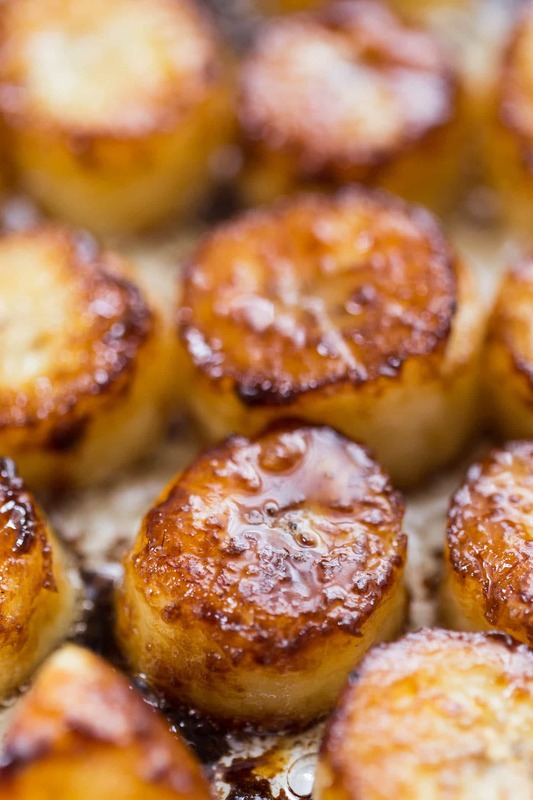 And then there's the topping… CARAMELIZED BANANAS! So simple to make (takes about 3 minutes) and seriously the most legit oatmeal topping I've ever had. All we'll need are bananas, coconut sugar and coconut oil. 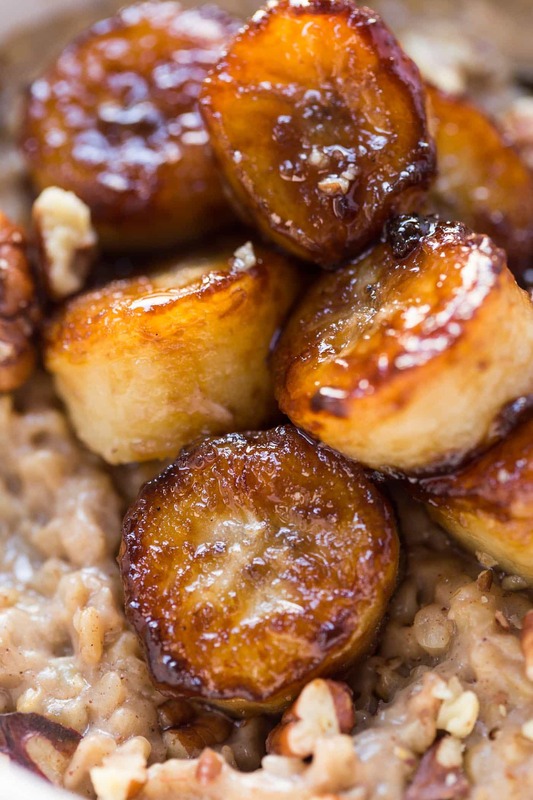 You just pan fry the bananas until they're nice and caramelized on both sides, pop them on top of your oatmeal and you're good to go. I also sprinkled my oatmeal with some pecans, but that's optional. I just personally like a little crunch! And finished it all off with a drizzle of almond milk, but you could also do yogurt if you wanted to. I love stirring in something cold with the hot oats. Again, it's optional, but I highly recommend it! 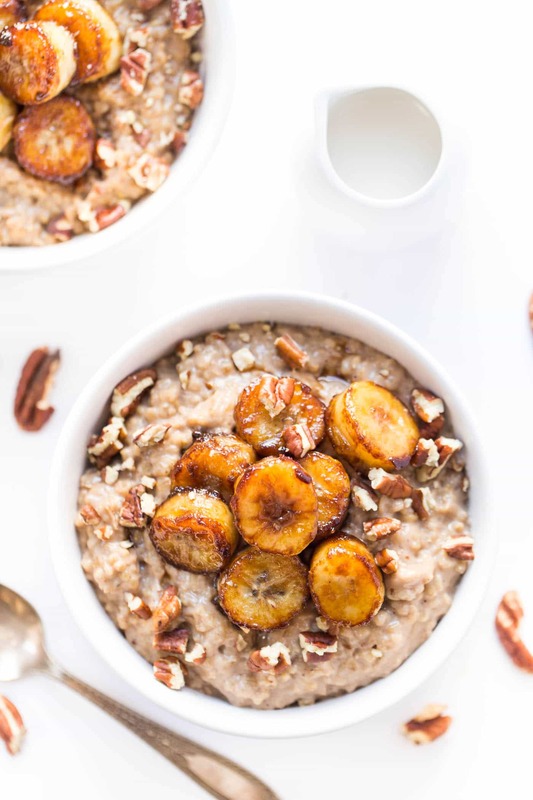 Before I let you dive into this incredible breakfast bowl, I just need to say one more time, this is hands down the best oatmeal I've ever tasted. It's creamy, it's just lightly sweetened, it has a faint buttery note and those bananas are killer. I can't wait for you guys to make it! p.s. I'll be giving away a FREE ebook at the end of Whole Grain Week with all the recipes, so just sign up for my newsletter by clicking right here and I'll make sure you get it when it's available! Add oats and almond milk to a small saucepan and bring to a boil. Reduce to low and simmer for 15 minutes, stirring occasionally. After 15 minutes, stir in butter, 2 tablespoons coconut sugar, cinnamon, salt and peanut butter. Simmer for another 5 minutes then remove from heat and cook bananas. For the bananas, add the coconut oil and remaining sugar to a large saute pan. Once melted and shimmering, add bananas. Cook flat side down for 3 minutes until caramelized, then flip and cook another minute more. Remove from heat and plate the oatmeal. To serve, divide the oatmeal evenly between bowls (serves 2 - 4). 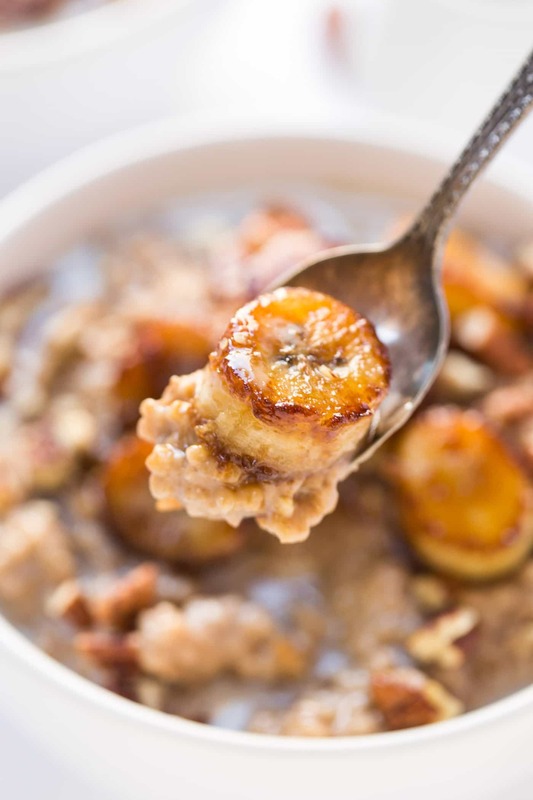 Top each bowl with bananas, sprinkle with pecans and a drizzle of almond milk and enjoy! This post was sponsored by the awesome folks Bob’s Red Mill! Make sure to check out their entire line of products – there’s tons of amazing gluten-free options. Thank you for supporting the brands that I am passionate about, it allows me to continue to produce these recipes for you! Want more healthy breakfast recipes? Thanks for sharing this! How long can the caramalized bananas keep for? I was thinking of making extra but wasn’t sure if they would stay good in the fridge. calories per serving. How many servings is that based on? Today was the second time I made this recipe. This time I didn’t make the bananas but wow I never thought I’d be excited about oatmeal. I split it into 4 portions as you mentioned and eat it for breakfast all week with a little fruit. Highly recommend it to anyone- this time I tried almond butter bc I found peanut butter to be the predominant flavor last time. Thank you for sharing!! YAY! Thank you so much, Karyn! This is now my go to Sunday breakfast. I sometimes add chocolate chips instead of caramelizing the bananas. Thanks so much! I recently decided to become a vegan [plant based] and love this recipe! Will this delicious oatmeal hinder weight loss? Do you typically recommend this as a treat or a daily option? 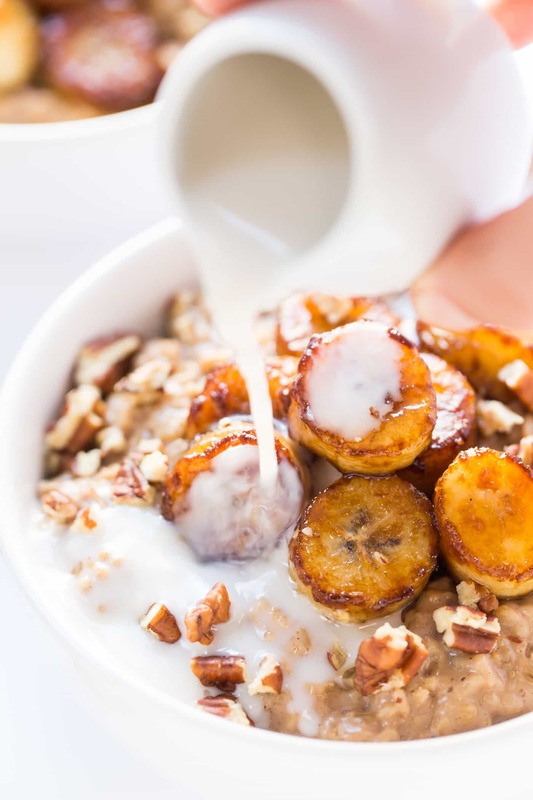 You could certainly enjoy it as a breakfast multiple times a week, but I would suggest cutting back on the sweetness (maybe leave out the bananas from time to time) if weight loss is your goal! Hi Alyssa! Is there a way to reduce the sodium in this recipe as I am very sodium sensitive…? Where does the sodium come from? Is it in the steel cuts? I’m guessing you’re getting it from the peanut butter (my nutrition calculator might pull salted) or from the almond milk. You can use water and skip the PB! This was tha bomb! I made it for my husband and I this week. It was sooooooo good! I can’t wait to share it with my friends. I have been following you and tried a few of your delicious recipes. Thankyou for sharing.